We all still in one piece and recovered from last week?! The week after the Cheltenham Festival always feels like a bit of a comedown and/or the worst hangover in history! Regardless of how your festival week actually went! Class 1 contests generally prove too hot for this 9yo (he’s 0/14 in all Class 1 starts) and he’s also never been a huge fan of the festival environment (form of 0-8-5-0-0 at the last five festivals). This recent down the field run, however, is plenty better than the 22L 12th suggests, given that he was still cruising along in the lead jumping 3 out and he pretty much held a share of the lead jumping 2 out. It all went backwards from there admittedly but until that point he was running a big race, aided in no small part by the first time blinkers. He was dropped 1lb for this effort to OR 151 and when connections decide to drop him back into Class 2 company he’ll be well worth a dabble. The 7yo was still bang there jumping 3 out in the RSA Chase and turned for home right alongside the main players as the taps begun to be turned to full. Ultimately he couldn’t go with front three but for me that was mainly down to the soft underfoot conditions. The facts are that he just isn’t as effective when there’s serious juice underfoot. With that in mind this effort is well worth marking up a good few pounds. If you take a look at his previous run, a win in the Ryman Novices’ Chase at Cheltenham in December, you see that form has been boosted since, with both Le Breuil & The Russian Doyen running big races at the festival and 4th placed Dentley De Mee running close in a handicap at Wincanton. The form of his victory at Market Rasen in November has also been franked since, as the form of his other two chase starts. There has been plenty to like about his first season over fences and if he enters next term on or around his current handicap mark of OR 150 it’s not hard to see him having a say in some of the main staying handicaps, especially if the ground isn’t riding too testing. First run for his new trainer and this was a solid enough run off a 325-day break, under conditions he won’t have fully appreciated (never been a horse to enjoy a large field, Graded level or a testing track). He’s relatively lightly raced for a 10yo (this was only his 18th career start) and although he was never a serious threat in this there was enough life in the effort to suggest his new trainer could have a bit of fun with him. I thought the 7yo was jumping immaculately out the back of the pack in the Kim Muir, scarcely missing a beat and jumping with some serious fluency and economy. Unfortunately he was never once put into the race to make use of that slick jumping and I just wonder if the run was all about keeping him ticking over for some other target (he is entered in the Irish National albeit he is a long way down on the list of entries). He’s got relatively few miles on the clock and still looks to hold plenty of untapped potential and it has to be remembered that he would almost have certainly placed in the Munster National last autumn (if not won it) had he not tipped up at the last. A fine effort considering I’m far from convinced he’s at his best on very undulating tracks. Pretty clear indicators that he’s much happier on easier tracks and that this run needs marked up plenty. He was only raised 2lbs off the back of this effort and his new mark of OR 138 looks more than workable for him. 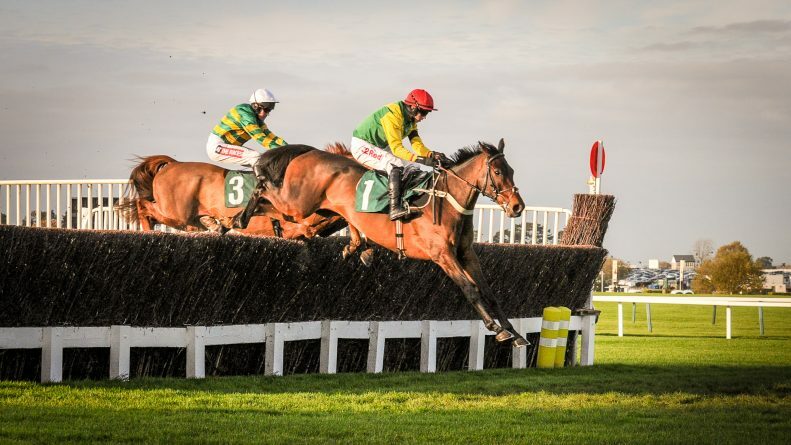 It would be no surprise to see him go a couple places better in one of the valuable handicaps at Aintree or Ayr. Thought Up for Review ran a cracker in the Utlima. Pulled his way to the front 3 out and made a terrible mistake where he was left to coast home in 8th. Saved for the Grand National when his chance was gone! Yeah I’d agree with that, looked a huge player approaching 3 out but that mistake surely knocked plenty of the stuffing out of him. On a handy weight for National as well and guaranteed a run (currently number 40 on the list). Shame about Coko but it’s only money lent as I’m sure you will recoup much more as the season progresses. Certainly seemed like there was something still left in the tank but hard to say for sure, been very lightly raced this season and was coming off a break of 125 days in County. I guess he could potentially have just hit a bit of a flat spot coming up the hill and Townend just gave him a chance to hit his second wind? Already earmarked 2 of those but what about Up For Review … running a massive race in the Ultima. Very much so, was running a massive race until that untimely mistake ‘probably’ knocked the finish out of him. I thought Band Of Outlaws victory was a true statement of intent towards a Group 1 next time out, and quite possibly the Champion Juvenile for the season. It’s great to see some decent flat racing recruits taking centre stage again, in the Festival juveline events, and I an really looking forward to seeing Band Of Outlaws mixing it in Champion Hurdle trials next season. Are you impressed by the way he travels, in amongst a big field of horses? I thought it was impressive. Undoubtedly, Band Of Outlaws was very very impressive. Shame he sunk my Coko Beach bet but the facts are that Band Of Outlaws was simply the superior horse, probably by some way. The horse i like to take from the festival is Dickie Diver from the albert bartlett this horse to me looks ideal for the RSA next year. Any views ben? A very promising horse, definitely, looks one with huge potential for chasing. Was still relatively light on experience going into the Albert Bartlett so you’d expect him to come on a ton for the run and yes, I’d expect him to turn into an RSA type next term, you’d be disappointed should he not anyway. My horse to follow is Éclair De Beaufeu. Who ran a stormer in the county hurdle on Friday. Settled in about 6th place he jumped well and was absolutely tanking along coming round the home turn. Jack Kennedy sent him for home and he went about 2 lengths clear, but in my opinion he went to soon before getting caught and falling at the last. With a more patient ride I’m sure he would have placed and maybe won. Absolutely Mark, button pressed to soon on that one. Not sure he would have won myself but you’d certainly think he would have finished top 5 had he stayed on his feet. Went close in the Ladbrokes Hurdle at Leopardstown prior to the County Hurdle run and that looks solid form. Chasing surely on the cards for him next term, looks to have plenty of scope for the larger obstacles. Where he fits into the wider Gigginstown picture, however, is anyones guess!! anyone reading the blogs pre-festival…5 Cheltenham stats need to be broken…..angels breath BF stat….al dancer win in a hcp before the supreme. .ABSOLUTELY BRILLIANT BEN. everyone of these horses were well fancied, all of them beat. so I played my usual hands, left the fred winter to you..so close. Hi Ben. I’m not a great can of the Bumper,but one to take out of that race would be imo Thyme Hill. A 2 and half mile novice hurdle next season should be his target. Not such a secret as Philip Hobbs gave him a good “write” up in an interview this week at Exeter. Excellent work last week even if Friday proved tough. A smaller than normal bumper field but you have to say there some cracking horses in the field. Thyme Hill definitely one for the notebook, his 2nd at the track back in November has worked out very well and you’d be disappointed should he not turn into a well above average hurdler next season.